the 2018 National Collegiate Athletic Association (NCAA) Woman of the Year Award. The NCAA Woman of the Year program celebrates the accomplishments of female college athletes across all three NCAA divisions. This year, more than 200,000 women are playing college sports, and the NCAA received a program record of 581 nominations for this prestigious award. 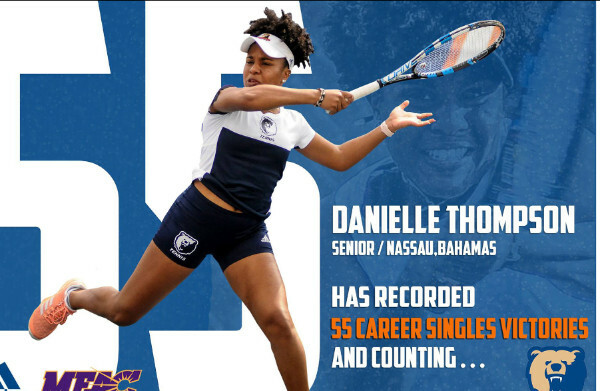 Danielle has been an exemplary and outstanding collegiate athlete. She was a recent member on the prestigious Bahamas Fed Cup Team. The Team was a finalist for promotion this year in Ecuador. To be considered for this high honor in the competitive college arena speaks to Danielle's excellence in academics, athletics and leadership. Continue to raise the bar Danielle!